Online health education and vegan videos. The first set of videos in the list are lectures or presentations by MDs or PhDs. Then there are other movies and documentaries listed. This lecture is posted first as it is a MUST WATCH video for anyone looking into vegan health benefits and plant-based nutrition science. Former heart surgeon and heart disease researcher discusses the cause of heart disease and how we can reduce our heart disease risk. Is a Whole Food Plant-Based Diet an Answer to Chronic Disease? 2017 Interview Documentary with Dr. Kim Williams, Dr. Heleen Roex, Dr. Alphonse Roex and Dr. Malcolm Mackay. Topics discussed are inflammation-caused diseases, heart disease, science nutrition, health resources and more. 39 Minutes. Cornell researcher. Author of The China Study. Dr. Michael Klaper Interview for PlantPure Summit 2016 by Lee Fulkerson. Excellent interview with Dr. Klaper discussing topics including ethics, the environment, health, historical gains, and changing to a plant-based vegan world. Dr. Michael Klaper: Food That Kills - Full Documentary from 1993. Good presentation covering a range of topics. Dr. Sanjay Gupta: heart disease is caused by LDL cholesterol. 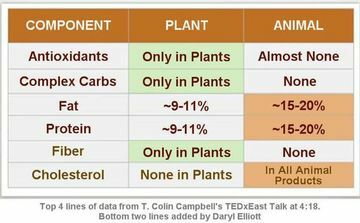 The plant-based diet contains no cholesterol. Kim Williams, MD, President of American College of Cardiology, and Chief of Cardiology, Rush University in Chicago, on Plant-based Diets. 5 Minutes. Dr. Baxter Montgomery, Board Certified Cardiologist, discusses health benefits of a plant-based diet. Dr. Montgomery is a Clinical Asst. Prof. of Medicine in the Division of Cardiology at the University of Texas Health Science Ctr. in Houston & a Fellow of the American College of Cardiology. Short (8 minute) video. Brilliant documentary on the science behind, and benefits of, the plant-based diet. Best of its class. Available for free on Netflix. If you don't have Netflix, you can get a free one month trial. If you don't have access to Netflix, it's worth paying to see online. Dr. Ellsworth Wareham, Cardiothoracic Surgeon at 98 years young, interview. Dr. Wareham explains that he has lived vegan for over 50 years, and he provides some excellent information on heart health. He's still going at 102 years of age. Science for Hire: dairy industry "research" case study, by Happy Healthy Vegan. Two great documentaries on veganism and health by Mike Anderson of RaveDiet. These cost money, but are worth it, and the proceeds support Mike's work. 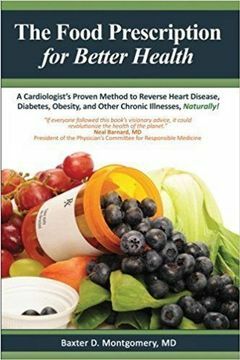 Confessions of a Reformed Cardiologist a Plant-based Diet and Your Heart by Harvard and Yale educated Robert Ostfeld, MD. He is a cardiologist and Director of Preventive Cardiology at Montefiore Einstein Cardiac Wellness Program. Discusses general heart health and the impact of genes. WHAT THE HEALTH by Kip Anderson and Keegan Kuhn. Great documentary on how the health industry is influenced by financial interests that retard the adoption of a plant-based diet. Available for free on Netflix. If you don't have Netflix, you can get a free one month trial. Preventing & Reversing Prostate Cancer by Dr. Evan Allen of Las Vegas. Dr. Allen discusses lifestyle medicine as a treatment of prostate cancer. 3 Minutes. How Not to Die, lecture by Michael Greger, MD Google Talks. Brilliant lecture by Dr. Michael Greger. Must watch. Richard Oppenlander DDS: Global Depletion, [Climate Disruption,] Sustainability And Food Choice Brilliant research and analysis. Must watch for anyone interested in maintaining a sustainable and healthy planet. Cowspiracy: Environmental Impact of Diet by Kip Anderson and Keegan Kuhn. Excellent video on how our diet impacts the environment, and how the big environmental groups are ignoring this important issue. Here is a Cowspiracy fact sheet. This is a documentary out of the Netherlands about the environmental impact of eating animals. This is not a video, it's a fact sheet page with some important info. SEASPIRACY: What You Should Know About Fish and The Oceans. Environmental impact of eating fishes and other ocean animals. Mercury is found in ocean fishes. Mercury is a neurotoxin, which is to say that it's a toxin to the brain, and it injures the brain. Salmon Confidential, Documentary About Salmon Farms in Canada & Diseased Salmon Important research on fish farm impact on the fishes being farmed and the wild fishes in the waters in which the fish farms are housed. Only 4 minutes. Please watch and consider yourself invited to live vegan. Veganism Overview video. Excellent. 12 Minutes. Talking to 100 Teenagers about Veganism by Vegan Geezer. This talk covers all the bases. Excellent for young people, especially. 30 Minutes. Diet for a New America by John Robbins. Overview. Dated, but still excellent. John Robbins: "Diet for a New America" update - Talks at Google John discusses many topics. Excellent presentation. A closer look at the farm animal business including a discussion about the ethics of how we treat animals, and the problem of the massive amounts of effluent left behind after the animals are killed, and eaten. James Wildman lecture. Covers many excellent points. Comprehensive. 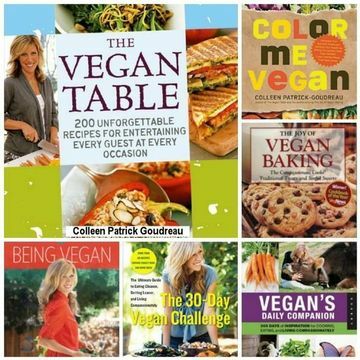 Colleen Patrick-Goudreau: From Excuse-itarian to Vegan. Lecture on general plant-based education and challenges that people face and solutions to getting to vegan. Food Choices by Michal Siewierski, who is a world class TV producer, director and documentary filmmaker. The film explores the impact that the food we eat has on human health, the environment and on the lives of other living species. Cow's milk is designed for calves. When humans drink it, the calves who need it are prevented from drinking it. 4 Minutes. This is an important documentary about how humans treat animals and the Earth. This movie focuses on the ethical and environmental aspects of veganism. Please go to this page and scroll down to view the movie for free. Philip Wollen: Animals Should Be Off The Menu. Comments in a debate in Australia. Brilliant. 10 Minutes. Dominion The Dominion Movement created this brilliant documentary from Australia about animal experiences. Insightful. Highly recommended. 2 Hours. "Best Animal Rights Speech" by Simone Reyes, who is Russell Simmons' Admin. Heartfelt, straightforward animal rights talk about many issues including veganism. Behind the scenes footage of animal agriculture farms. See what really happens. Dairy is Scary by Erin Janus. Brilliant short overview about how the dairy industry works. 6 Minutes. Your Milk's Mother; Why Dairy is Never Humane by Emily, Bite Size Vegan, who takes us step by step on what happens in the dairy industry to produce milk. 6 Minutes. Land of Hope and Glory by Earthling Ed Winters and Luna Woods. UK version of the Earthlings movie. Excellent. Many details on how farming works. Undercover footage. 48 Minutes. Will Tuttle, PhD: The World Peace Diet. Being Healthy and Saving the Planet. 63 Minutes. The Mercy for Animals short documentary on The Truth Behind Meat Production. This production documents farm and fishing cruelty to animals. Honey Well done, thorough and funny video on why vegans don't consume honey by Emily Barwick. Please consider subscribing to her YouTube channel: BiteSizeVegan. 5 minutes. Bullfighting Some of the basics on bullfighting. Short video. Leather - The Cruelty of Animal Skin by Earthling Ed Winters. He discusses the sources of animal skins and how in many cases we don't know what kind of animal it is. For example, in China, dogs are killed and skinned for leather. 7 Minutes. Leather is animal skin. Short video showing how leather is made. Filmed in India as much of the animal skin sold is taken from animals there. 1 Minute. The Fur Industry by Stella McCartney for PETA Investigation footage of fur farms. Narrated by Stella McCartney. 6 Minutes. Entertaining, humorous and educational film about personal transformation by Australian film maker Joe Cross. Many people discuss their experiences as vegan. It's uplifting and illuminating. The Hardest Part of Being Vegan This is short and especially useful for new vegans, but more seasoned vegans find solace from it as well. This is one of the most insightful and well done videos I've seen on what the experience is on living vegan. Story of Frank Ferrante going through the process of going vegan. Humorous. Revealing. Real. You may find a site where you can watch this documentary online if you search for it. You will probably have to pay a few dollars or join a service to watch it. Great uplifting story of transformation of Eddie Lama. Highly acclaimed, award winning documentary. Vegucated follows three people who accept a vegan challenge for six weeks. It's ok. Many people like it and have found it influential. Sandra Higgins, psychologist and founder of Eden Farmed Animal Sanctuary in Ireland, and founder of Go Vegan World, an educational campaign in Ireland using billboards, discusses her views on speciesism, veganism and how to be an effective vegan activist. Brilliant. The Secret Reason We Eat Meat by Melanie Joy, PhD. Partially animated short on the social psychological aspects of eating animals including compassion, denial, normalization, authenticity, empathy, and more. Excellent. "Veganism Will Be The Dominant Ideology," by Melanie Joy, PhD Insightful information about how the belief system behind the eating of animals is currently invisible and why it will crumble in time. Melanie Joy, PhD: Dis-ease of the Heart: The Psychology of Eating Animals. Video is near page bottom. What are Animals Thinking? by Carl Safina, PhD. 19 Minutes. TED Talk: "What's going on inside the brains of animals? ...Using discoveries and anecdotes that span ecology, biology and behavioral science, he weaves together stories of..." many animals to show how they love and feel as humans love and feel. From Wiki: "Carl Safina works to show that nature and human dignity require each other." 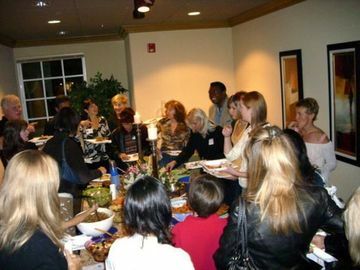 Raw Food Diets - What's True, What's Not - Dispelling Common Myths by Vesanto Melina, MS, RD, co-author of Becoming Raw and author of Raw Food Revolution Diet. Excellent overview lecture on the raw vegan diet. Raw Vegan Diet Documentary by The Raw Mermaid. Set in Edmonton, Alberta, this film follows 5 people through a 30-day raw plant-based challenge. They all stick with it, and they all lose weight, but they avoid discussing ethics or animals. Raw Food Documentary by National Geographic This film follows 8 people who are at a plant-based spa in Spain for 30 days. Great results. Regardless of our dietary behavior, we cannot run away from our biology, which is that we humans are always and only herbivores. by Dr. Sofia Pineda Ochoa. 10 Minutes. Humans are Herbivores in Denial with Science! Humans are Herbivores, but Eat Omnivorously by Opportunity, not by Design by Mic. the Vegan. Are Humans Carnivores, Omnivores or Herbivores? Are We Meant to Eat Meat? ...by Emily of BiteSizeVegan. Antibiotics in animal products harm humans. PBS Frontline: The Trouble with Antibiotics. 54 Minutes. NPR's "The Trouble with Antibiotics" about the link between deadly MRSA and animals given antibiotics and the government's inaction to do anything about it. Documentary on how fluoride is a neurotoxin (brain toxin), and poison. It claims fluoride in our water reduces IQ. 20 Minutes. To find a plant-based doctor near you, please visit this site and select "Find a Practitioner" in the toolbar. To find out nutrition information that is searchable, please visit Dr. Michael Greger's site www.NutritionFacts.org. Vegan Calculator See how many animals, trees, water and CO2 you save each year by living vegan.